MCM Protection offers advanced video surveillance systems designed to help you prevent theft, monitor critical systems and protect your people, products and facilities. Video surveillance and closed circuit television (CCTV) systems serve as a way to monitor and record security, deter crime and ensure safety. Advances in CCTV technology and reduction in costs have made video surveillance a cost effective management tool and home security solution. A well-designed CCTV system will reduce costs and pay for itself over and over again. 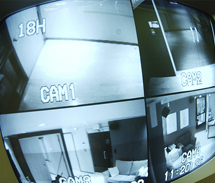 Retailers use CCTV to monitor and record evidence on customer and employee misconduct. Manufacturers, governments, hospitals and universities use CCTV to identify visitors and employees, monitor work areas, deter theft and ensure the security of the premises and other facilities. Observe, monitor and record security events on the retail floor, in the office, on the building perimeters, in the warehouse, on the loading dock and in the parking garage. Monitor confidential areas, point-of-sale and money drawers. 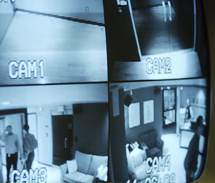 Reduce the need for security guards by use of multiple and moving cameras. Monitor hazardous areas and materials. Monitor halls and common areas in a hotel, campus or apartments. Track inventory, check floor coverage and monitor production lines. Reduce liability to false insurance claims and fraudulent litigation. 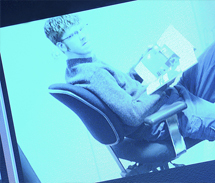 Please contact MCM Protection if you would like more information about our CCTV systems.